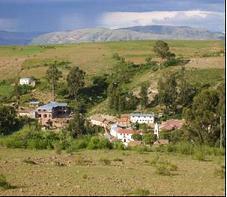 These is a photographic account of our field trip to Arampampa, Bolivia that took place from June 4th to June 14th 2010. 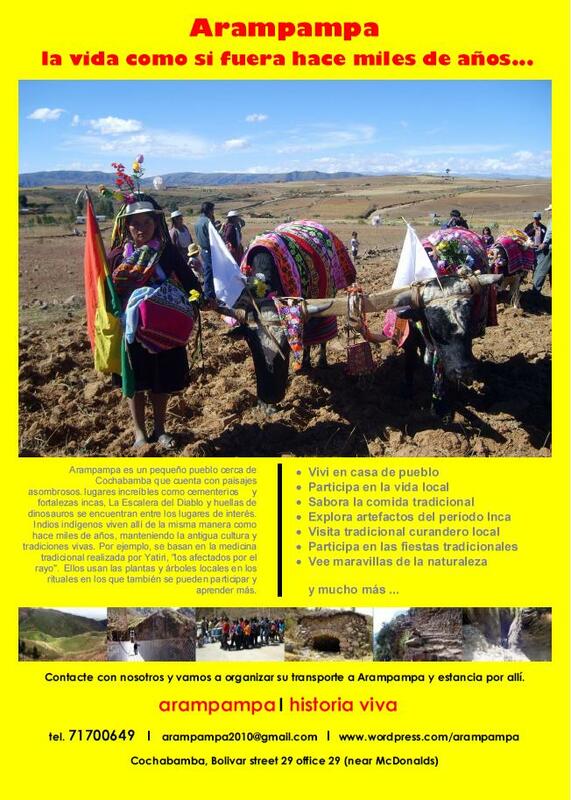 Our objective was to promote Arampampa as a destination for Tourism in Bolivia. Urban area, is located at the north end of the Department of Potosi, in the Province, Bernardino Bilbao Rioja, the municipality of Arampampa, seated in a ravine next to the river Mayu Ura, due to the existence of the strong breeze of the place, in that place the climate is more pleasant. Known as THE CAPITAL OF WHEAT. Arampampa comes from the Quechua “aram” meaning variety of rough straw, “pampa” rather flat or plain. O “aram” of the activity of the plow or plow and “pampa” place or flat or plain surface. In the Inca period and constituted inhabited by a people Charcas solid, warlike characteristics controlled the entire northern region of Potosí. Because of his talent warrior and war strategies, were appointed guardians of the frontier of the Empire, taking care and ensuring the Inca limit and prevent the invasion of forest groups as in the case of chiriguanos. This community has a structure in their homes that are made with materials from the region, the roofs are covered with tiles colonial mud walls, stone and some of adobe. Thus, the location of housing is misaligned, presented no straight streets, Colonial features narrow, paved with stones and boulders are natural characteristics of the site. It presents a mestizo Creole colonial architecture, which provides a simple infrastructure adobe, thick wooden doors, ceilings are of average water and covered with tiles cañahuecas. People Arampampa is spent on agriculture, the main crop is wheat, potatoes, but also much of the population is engaged in herding sheep and cattle. Distance 140 km in relation to Cochabamba.